(i) Move the slider to make ABCD a square. (ii) Change the position of F, what can you observe? (i) Move the slider to make AB=5. 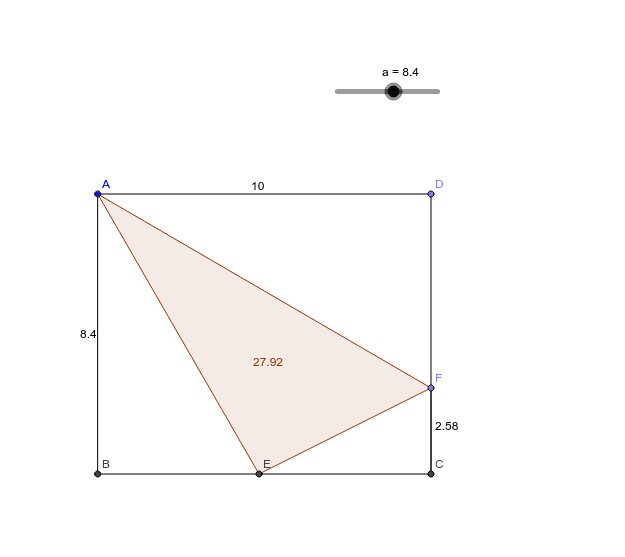 (ii) Change the position of F, what can you observe for the area of triangle AEF? 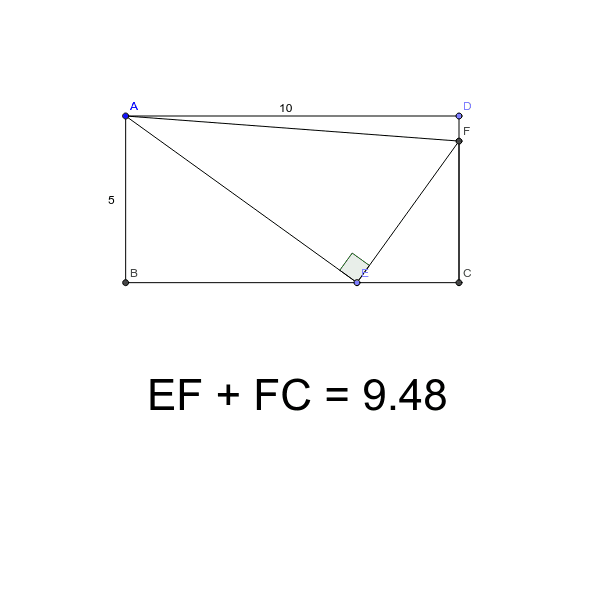 (i) Move point E such that EF+FC=5. What can you observe?